I love discovering places in my hometown that are a little under the radar. But then again, I like these places because they are quiet and not over popular. For this reason I had to think twice before writing this article. But we started this blog not to keep the best things for ourselves but to share them with the world so here we go. These are the top 5 secret spots in Amsterdam! 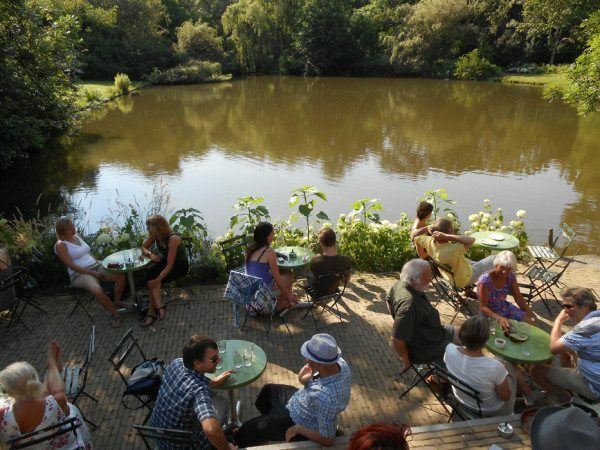 Word of mouth or a bicycle ride takes you to this secret spot in Amsterdam West. I live far into west Amsterdam so for me it was only a matter of time before I discovered De Cantina. This place is amazing. 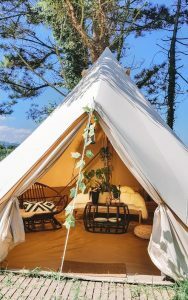 They serve coffee, cake, homemade lemonade and sandwiches with ingredients from their own garden or local produce. Nothing major but it’s the location and use of space that makes this secret spot worth mentioning. 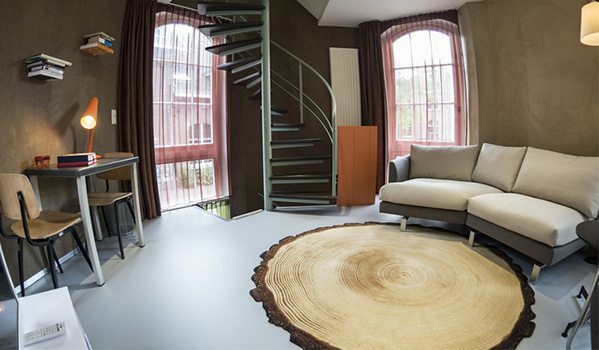 De Cantina is situated in between the “1800 roerden” an creative area where artists work. De Cantina is also part of “Het Rijk van de Keizer” which is a location that can be used for weddings, parties and dinners. You can lay in the sunshine deck on a fatboy, hammock or chill in an old car wreck. Find a spot in the shade under umbrella’s tucked away in between the trees. Don’t be surprised if you see chickens walking around, this is normal! So grab your bike and head for some peace and quiet! Chillin’ in a car, well.. half a car! This secret bar is so cool that we have to tell you about it! If you live in Amsterdam, you may have heard of a restaurant called Gheisa. It’s one of the best places for sushi and Asian fusion cuisine. On the way to the toilet was a large space that wasn’t used in the most effective way. A big shame because that space had great potential! When 2 friends from Amsterdam heard this, they didn’t have to think long about what to do with it. 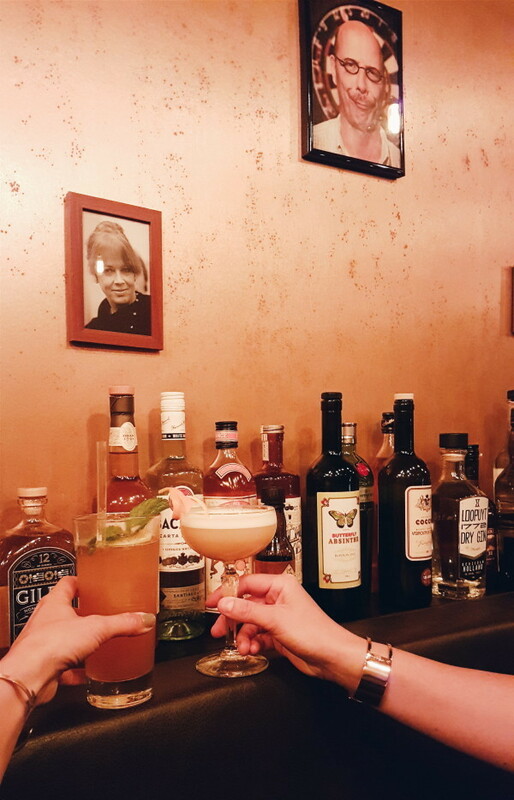 Both experienced cocktail shakers, they decided to create a typical Amsterdam Cocktail bar with a menu inspired by some of Amsterdam’s most famous characters such as Johan Cruyf and Andre Hazes. The wall is decorated with framed pictures and classic bottles. The interior is brown yet stylish and there are around 6 tables to sit at. Bar Porem isn’t so easy to find. No, you need to check the door closely and ring the left doorbell for someone to open. and ssst, don’t tell just anybody about this place. 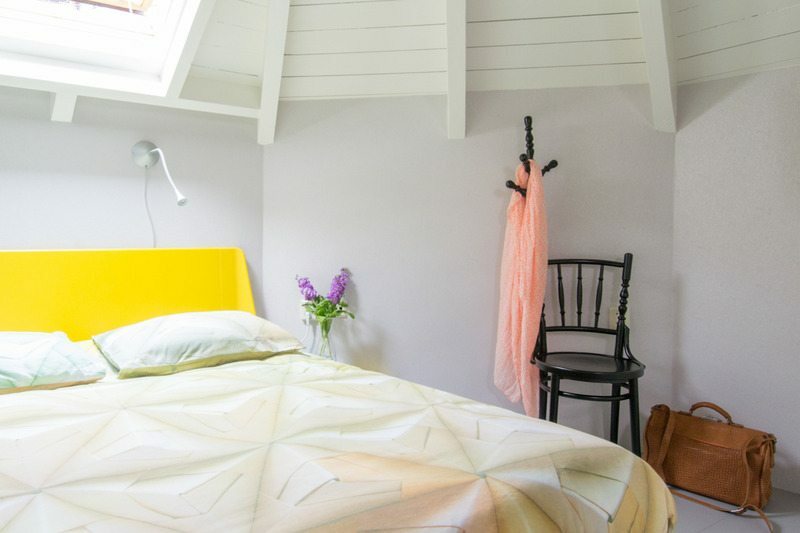 This tiny hotel is right in the middle of Amsterdam, yet nobody realizes it’s a place where you can spend the night at. 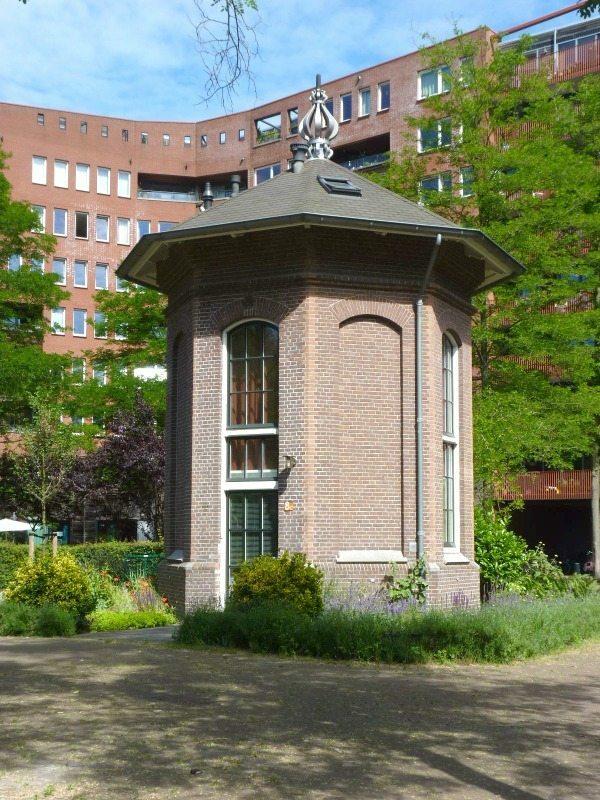 It’s a freestanding octagonal brick tower and was built in 1897 as part of Amsterdam’s water works. Most buildings like that get destroyed but not this one. It now features as a luxury apartment for 2 equipped with a bedroom, kitchen, bathroom and living space. The nice part is, that it’s in a really nice quiet area of Amsterdam, but only a 10 minute walk from the Jordaan. It’s not the cheapest option (325 for 2 nights) but certainly the best kept secret when it comes to hotels! Perfect for a romantic getaway.. 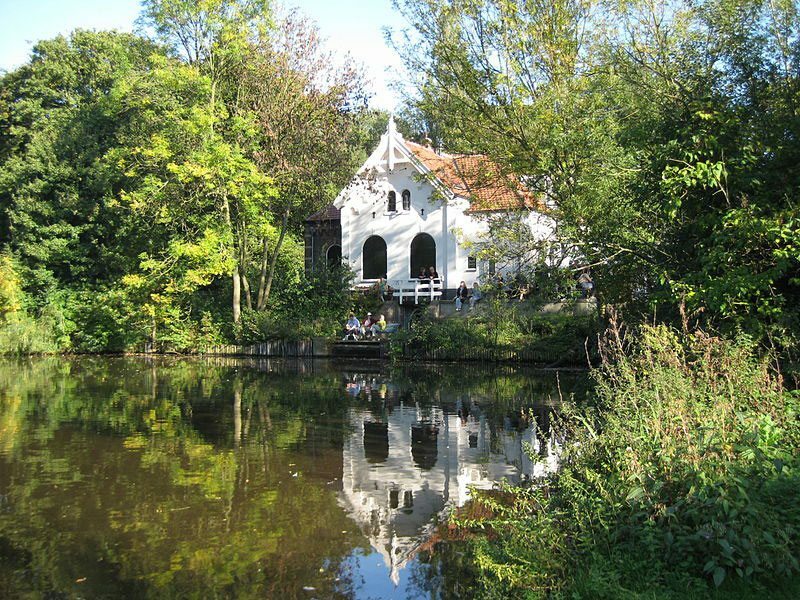 If you know your way into East Amsterdam, you may have heard of this secret spot that is hidden in the Flevopark. Nevertheless, it’s always worth a visit. 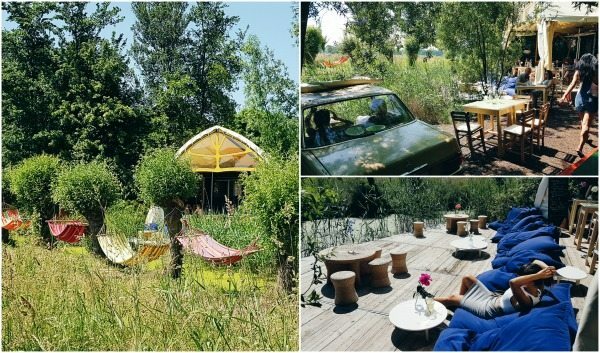 At ‘T Nieuwe Diep, you can feast your taste buds because they have their own distillery and organic produce. Yes, they serve coffee and tea but they are most famous for their cider, gin, liqueur and bitters. (don’t know it? try it!) There is a patio over the water and although the crowd isn’t as hip and happening as in other places, this is perfect for a relaxing moment in Amsterdam. During summer, the’re open from 3pm till 8pm Mon-Sun. This tea house is right next door to where I live. Next to the water where you can make your way up to the Amsterdam Forest or towards the road to Amsterdam’s nearest beach, Zandvoort. It used to be an old waterpump mill that was used to dry the ground back in the 19th century. 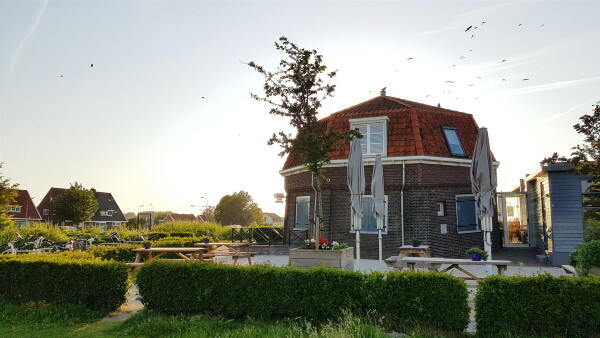 I love this place because they collaborate with non-profit foundation the Vrije Geer, so people with a disability can work a few hours a day and serve you coffee, tea, cakes and lunch. The Aker mill has been restored a few times and is the only remaining hydraulic engineering work between Halfway and Amstelveen. 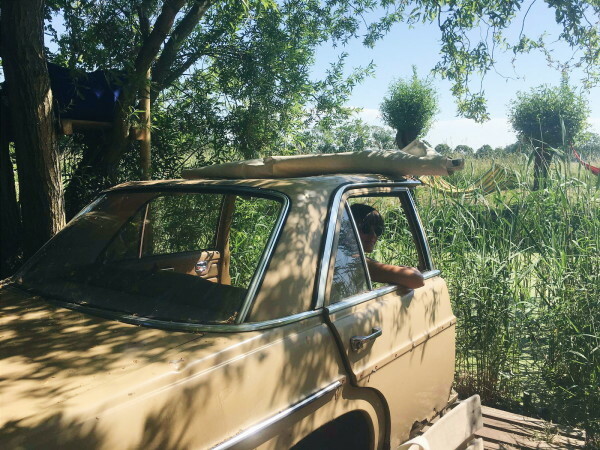 So there you have it, 5 secret spots in Amsterdam that you may not have heard of. Let’s be gentle with these places as they are not your average hotspots where you can take out your laptop and have a conference call. 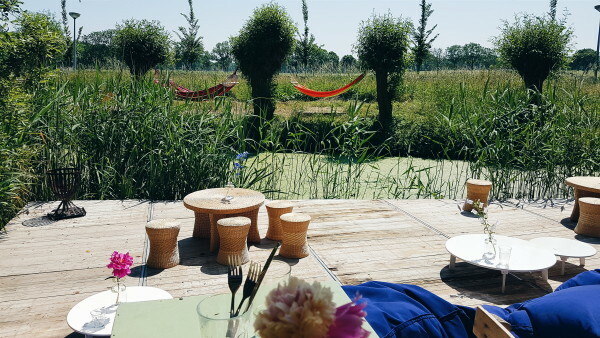 No, these spots are here for you to enjoy some peace and quiet in a hectic city like Amsterdam. Those are some great secrets! I especially like the idea of the hammock bar! Looks so relaxing and inviting! Wow! All these places are looking awesome. I work in Amsterdam, but never visited one of these places. Now, I will definitely do that.